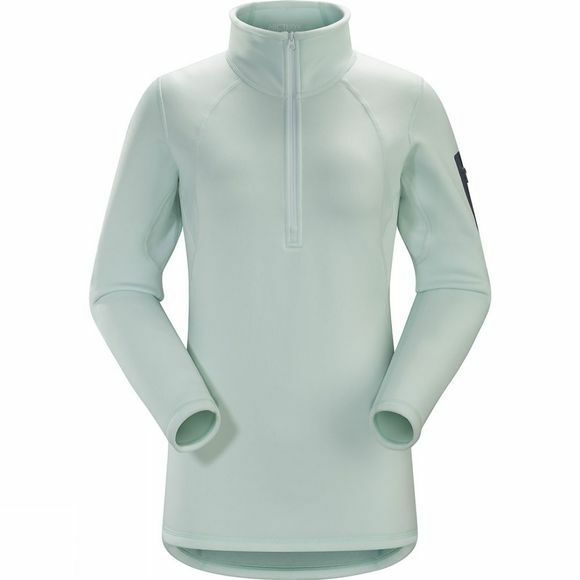 A thermally efficient zip neck top suited to wear either as a base layer in very low temperatures, a trim fitting mid layer, or a stand alone piece for more athletic activities in cold, crisp conditions. The plush interior has a warm, luxuriant texture and the trim, next-to-body-fit and elastane content increases thermal efficiency by keeping the fabric in constant contact with the body, eliminating pockets of cold air. The zip neck opens to aid rapid temperature regulation.